Knit a Cardigan with Rico Creative Twist - Wear this cardigan on colder days in winter or combine it with a dress on a cool summer night; this cardigan made of Rico Creative Twist is perfectly suitable for any occasion! This robust skein gives your knitting project a sturdy look, but at the same time feels super soft to ensure wearing comfortability. Do you want to make your own chunky knitted cardigan? - Half fishermans rib stitch: row 1 (right side): *knit 1 st., yarn over 1, slip 1 st. purlwise; repeat from *, end with 1 knit st.
Row 2: *purl 1 st., knit slipped st. and yarnover together; repeat from *, end with 1 purl st.
Knit this pattern without an edge st. (except the edges of the bands at the front pieces). - Rib stitch: Right side row 1: 1 knit, 1 purl. Wrong side row: work st. even. - Stocking stitch: Right side row: knit all st., wrong side: purl all st.
- Double edge stitch: At the beginning of the row: slip 1 st. purlwise, keep your yarn behind your needle, knit 1 st. At the end of the row: knit until 2 st. before the end of the row, slip 1 st. purlwise, your yarn is in front of your work, knit 1 st.
- Yarn over: Right side: knit 1 st., yarn over 1, slip 1 st. purlwise, 1 pass over slipped stitch (psso = slip st. knit next st., pass slipped st. over knitted st.). Left side: knit until last 4 st. of the row, knit 2 st together, yarn over 1, slip 1 st. purlwise, knit 1 st.
- Cable pattern 1 (6 st): Row 1 - 8: stocking st. Row 9: slip 3 st. on the cable needle and keep it behind your work. Knit 3 st., knit st. on the cable needle. Row 10: purl st. Repeat rows 1 - 10. 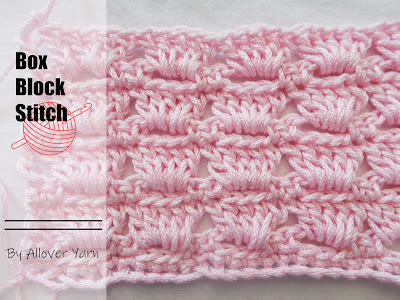 - Cable pattern 2 (6 st): Row 1 - 8: stocking st. Row 9: slip 3 st. on the cable needle and keep it in front of your work. Knit 3 st., knit st. on the cable needle. Row 10: purl st. Repeat rows 1 - 10. BackCast on 45 (49) st. with knitting needles no. 10 and knit 3 rows rib stitch. Start with a wrong side row and 1 purl st.
Continue row 4 as followed: knit 16 (18) st. in base pattern, 6 st. cable pattern 1, yarn over 1, slip 1 st. purlwise, 6 st. cablepattern 2, 16 (18) st in base pattern, start with a yarn over 1, and slipping 1 st. purlwise. At a total height of 21 (23) cm <47 (49) cm> start decreasing for the raglan shape. On both sides, alternately every 2nd row and every 4th row psso 17x1 (18x1) st. At the same time start with the shift of the cables. Knit base pattern until 2 st. before cable pattern 1, purl 2 st. together, 6 st. cable pattern 1, knit 1 stitch from the horizontal strand of the previous row, yarn over 1 and slip 1 st. purlwise, knit 1 st. fromt the horizontal strand of the previous row, 6 st. cable pattern 2, purl 2 st. together. Work the rest of the row in base pattern. Continue the st. knitted together in purl stocking st. and complement the increased st. in base pattern. Repeat this shift every 6th row. When the cable st. need to be decreased on the outside edges, in the rows with the shift each time 3 st. need to be purled together. Continue the increases from the horizontal strands as before. When all cable st. are finished, continue in base pattern. At a total height of 50 (54) cm <76 (80) cm> cast off the remaining 11 (13) st. Cast on 27 (31) st. with knitting needles no. 10 and knit 3 rows rib stitch. Start with a wrong side row. At the left side (for the side of the edge band) knit a double edge st. and continue with 1 purl st.
Continue in row 4 as followed: knit 10 (12) st. in base pattern, start with 1 knit st., 6 st. cable pattern 1, 9 (11) st. in base pattern, start with yarn over 1 and slip 1 st. purlwise, double edge st.
At a total height of 21 (23) cm <47 (49) cm> make the decreases on the right side the same as the backpatch for the raglan shape. At a total height of 45 (49) cm < 71 (75) cm> cast off the left side 6 st. for the neckline. For the neckline, in the next 2nd row cast off another 1 st. Continue the decreases for the raglan shape until you have 2 st. left on your needle. Knit the last 2 st. together pattern wise, and finish your piece this way. Cast on 27 (31) st. with knitting needles no. 10 and knit 3 rows rib st. Start with a wrong side row and with 1 purl st. Knit the double edge st. at the end of the row. In the 4th row continue as followed: knit a double edge st., 9 (11) st. in base pattern, start with yarn over 1 and slip 1 st. purlwise, 6 st. cable pattern 2, 10 (12) st. in base pattern, start with yarn over 1 and slip 1 st. purlwise. Work the right front reversed to the left front. Cast on 35 (39) st <21 (25) st> with knitting needles no. 10 and knit 3 rows rib st. Start with a wrong side row and 1 purl st. Continue in base pattern from row 4. <For the sleeve shape increase on both sides every 10th row 7x1 st. and continue increased st. pattern wise = 35 (39) st.> At a total height of 17 (19) cm <43 cm> start the decreases for the raglan shape. On both sides, psso 14x1 (16x1) st. Alternate the decreases 2x in each 4th row and 1x in each 2nd row (i.o.w in the 4th, 8th and 10th row of 10 rows). At a total height of 46 (50) cm <72 (74) cm> cast off the remaining 7 st. Knit a second sleeve the same way. Span all parts according to the pattern, spray block them and let them dry. Close all seams and attach the sleeves in the armholes. For the collar, with knitting needles no. 8 knit up 41 (47) stitches from the neckline. Start and end 8 cm from the front side and knit rib stitch. Knit double edge st. on both sides. At a total height of 11 cm, loosely bind off all st. Put the front pieces such that they overlap each other appr. 8 cm. At the upper edge of the neckline, attach the press stud and make sure it remains invisible.